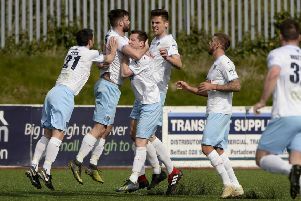 Ballymena United captain was honest in his assessment following his side's League Cup final defeat. The experienced defender admitted his side were second best on the day as Dungannon ran out 3-1 winners. Jim Ervin in action during Saturday's League Cup final. He heaped praise on Rodney McAree's side after the game.